The new issue of Broken Arrow has now hit the streets. 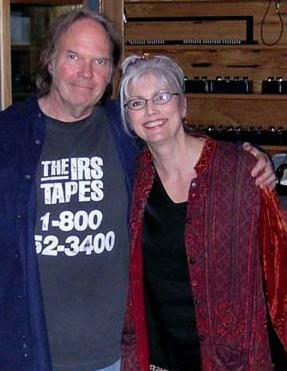 The 133rd installment of this long running fanzine contains several interesting articles including reviews of the recent Archives Performance Series release Cellar Door as well as discussion of the history and location of that famous Washington DC club, a comprehensive report on Neil’s historic Carnegie Hall shows in January, and an interview with Bridge School Director Bryan Bell. 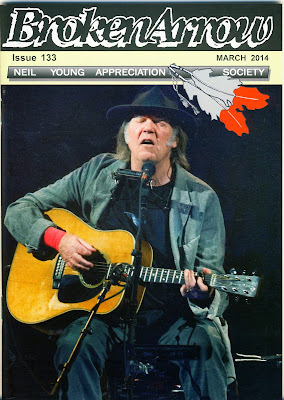 But perhaps the highlights of this issue are two historical items; a look back at the music of The Ducks, a short-lived bar band that Neil Young played with in Santa Cruz during the summer of 1977 and a fan’s report from ‘on the rail’ at a 1988 Bluenotes club show in Cleveland. Both are accompanied by excellent period photos – several previously unpublished – from the Archive of noted CSNY author Dave Zimmer. As well as ‘Letters to the Editor’ and the usual suspects there is also a review from a recent, rare concert appearance by CSNY sideman Calvin ‘Fuzzy’ Samuels. The front cover is a classic shot of Neil on stage at Carnegie Hall by friend of the NYAS Dana ‘distortion’ Yavin. Surely the subject line should be March 2014?